We're not sure what the 'thing' is between Nintendo of America and Amazon US, but the retailer in the region primarily sells Wii U hardware through third-party vendors, often at bizarre prices compared to other stores. Games are stocked and sold by Amazon, but not the systems directly; it's a regional issue, too, as Amazon UK - for one example - sells Wii U bundles directly. In any case, Amazon's editorial team clearly isn't involved in the issue, as it's included two Wii U games in its top 10 'Best of 2015' list. The fact that one of those is the top spot is all the better; the ten are below. It's great to see the terrific level-making tool get recognition from the broader market, and Nintendo of America also retweeted another win for the game. We've seen Splatoon mentioned by plenty of media too in top games of the year lists, so both titles have clearly succeeded in grabbing some mainstream attention. In any case, our own Game of the Year awards are coming very soon. Our staff picks will be posted on 24th December, and the community picks from your votes will be a festive treat on 25th December. From what I heard it was a disagreement between Nintendo and Amazon US. Too bad Xenoblade X isn't on the list. With games like Xenoblade X taking so long to play properly, and even FAST Racing Neo coming out so late in the year, they really need to lay off publishing these lists until the year is through in my opinion. Also, so many GOTY Charts have Mario Maker above Splatoon. Personal preference, but Splatoon trumps Mario Maker every time for me. Yoshi Wooly World i thought was better then splatoon but I love all 3 games. Mario Maker is so much fun and Splatoon is a blast but I just enjoyed Wooly World out of all the Nintendo games this year. Still only about a hour into Xenoblade, too early to tell but visually it's stunning. @Folkloner yeah me too, Splatoon is easily my Game Of The Year... & I originally wasn't at all sure it was for me! Amazon has been selling the Wii U themselves for at least 3 months. I've commented on it on several occasions. They currently have the MK8 bundle for $275 but it isn't in stock until Dec 29th. But it is from Amazon, not a 3rd party. And while it's annoying that they only seem to be selling the MK8 bundle, that's really all I see anywhere. Best Buy had about 200 boxes in a couple of weeks ago, Toys R Us only had that one in today. Same with Target. They must have made a very limited run of the Super Splat bundle. Which is too bad b/c I think for $249 they could have sold a bunch this holiday. $275 with MK8 isn't nearly as good. Maybe MK8 and SMM for $249. And while it's good to see 2 Wii U games on that list, and really surprising to see SMM at #1 - the glaring issue for Wii U is really all the multiplatform games on that list that aren't on Wii U. Are any of the other 8 on Wii U? Will admit I'm happy not to see COD on the list, but am a bit surprised about no Star Wars Battlefront. Or Lego Dimensions. Must be really hard to get people to agree on games these days, the market seems so fragmented. Guess we should all just be thankful Nintndo even gets to be on "game lists" and everybody isn't focused on PS4 and Xbox One. Good to know. Bodes well for NX. All is not lost and Nintendo is not doomed. The sooner the better though. Still expecting XCX to be my own GOTY, but JRPG are my main game genre, so I'm admittedly bias. @ThomasBW84: The disagreement between Amazon US and NOA comes from the 3DS price drop years ago. Retailers were given reimbursement from the huge price drop so soon after launch Amazon didn't for some reason so from then on they stopped selling Nintendo hardware themselves. @vgakvd I'm with you. Wooly World is my game of the year. Even tho I have put more hours into Mario Maker, Wooly World was amazing top to bottom. Shooter and multiplayer from the Game Awards. Where the Witcher 3 came out on top in many categories. It's pointless to rely on any one review or even website for gaming informatoon regarding quality, control and even depth of content. I've had some hands-on with both of these Nintendo games, XCX and none of them are top 10 or even top 15. Maybe it's that Splatoon gets old for me after an hour of play and that Mario Maker feels dated for a 3 month old game. I don't get the Nintendo feeling that instills me with a suffocating nostalgia and childlike joy. I suppose it could be rather telling as to where I am with gaming, were I to share my top 10. I won't, but let's just say handhelds, Nintendo and mobiles aren't anywhere to be found. I've also got experience with just about every game on that top 10 list. Witcher 3 was my entire reason for buying a PS4. And I LOVED MGSV. And Divinity Original Sin. And Rise of the Tomb Raider. And Halo 5. Ah man I could go on. But the cold, hard truth is, Xenoblade X is not only better than all those games listed above, it's possibly the best game I've played this generation. Not even Witcher 3 comes remotely close. And Splatoon, while it may not be #1 (that honor goes to XCX) it's definitely top 5. Same for Mario Maker. And handhelds have some of the best games I've ever played, on any console. In the span of 12 months we'll have seen Xenoblade Chronicles, Monster Hunter 4 Ultimate and Fire Emblem Fates on 3DS. Arkham Knight is probably my GotY. I loved playing it so much. I played non stop for three days and 100% it. The story was incredible imo and I loved all the improved gliding, gadgets, fighting etc. I can understand why people didn't like the Batmobile, why Deathstroke was sidelined like that is beyond me, but I enjoyed it nonetheless. Arkham City is my favourite game of all time, and it was definitely a fantastic sequel. I hope we get more sequels to Origins (which aren't bug filled messes). As for Super Mario Maker. I'm not really enjoying it at all. 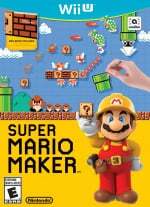 It's much of a surprise to me as I am not a fan of 2D Mario Platformers anyway, but I give it a shot for it's create mode.... Unfortunately I'm just too uncreative for it. Haha. I like Splatoon, but my problem is I keep having connection issues when I start to get on a roll. It's a great game, that I wish I could sink hours into a day. Had fun with Lego Dimensions, but it does have little replayability, which is annoying as I want to buy most of the figures as I love about 12/14 franchises featured. Didn't like The Witcher 3: Wild Hunt at all but it's not my type of game. I'm getting Star Wars: Battlefront and Mario & Luigi: Paper Jam Bros for christmas so I can't comment on them yet. Next year I hope Nintendo really knock it out of the park with Zelda and hopefully NX. @bluedogrulez Good point, and perhaps the best example of this within the games industry that i can think of is DKC: Tropical Freeze absence from nearly every single GOTY Nominations list back in 2014 due to how early it came out in the year. It barely got a mention for Best Soundtrack...which was just criminal. Splatoon is probably my favourite Nintendo game of the year, but it's behind Witcher 3, Fallout 4, Bloodborne and Metal Gear Solid V at the very least, but possibly comes ahead of Arkham Knight and Undertale. XCX is a bit of a disappointment for me so far. Not a bad game at all, but nowhere near the level of the Wii game. It's got the budget feel that seems so typical of Japanese games these days, and there's so much that breaks the immersion. They do sell the system regularly on Amazon. It happened some time ago. They sell the Mario kart one. It is back ordered on Amazon right now so a third party is in its place until they are back in stock later this month. Amazing! And to think Smash Bros. was last year's GOTY. And SMG2 at the time... Mario is the best. My personal Game of the Year is probably Ori and the Blind Forest, with Fallout 4 and MH4U being really close seconds. From Nintendo themselves however, Splatoon easily deserves best Nintendo game of 2015 imo (and definitely best shooter of 2015). One of the most unique games I've ever played. 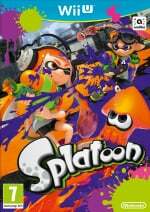 @JaxonH While I personally liked Xenoblade X better, I think Splatoon is the better game. It was an incredibly novel experience and it introduced a lot of new gameplay mechanics. It was just incredibly well-designed. It was what gaming is really about. Witcher 3 is a decent but incredibly overrated game that does almost nothing interesting. The environments are ugly and repetitive. The characters are stale. The atmosphere of the game never changes from being not dreary. The combat is mediocre. Way too much dialogue. The side missions were fairly well done, though. Pokemon Shuffle is my ipso facto game of the year. 330 hours logged... it's gotten a bit stale for me lately, I'm currently playing Xenoblade Chronicles 3D (about 40 hours into it, still feel like I've barely scratched the surface, but I like it more as I go) and Final Fantasy XIII. I've got myself a PS4 as an early Christmas present and I'm so excited to play so many amazing looking games! (especially Blood borne) I wish Woolly World got a mention, that game was fantastic. 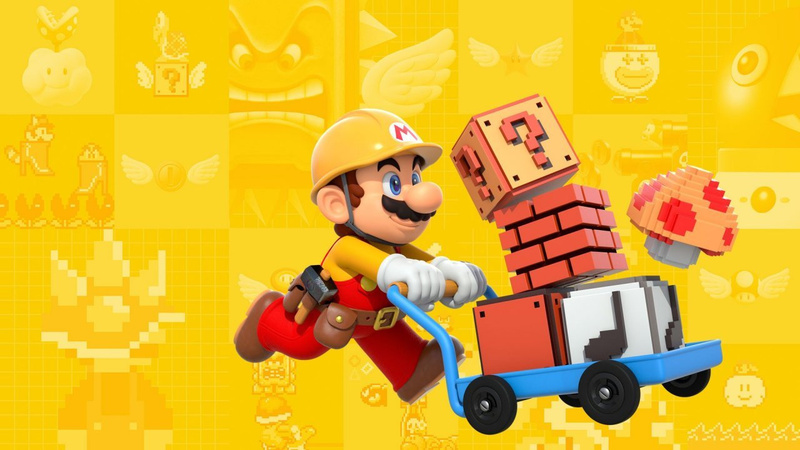 Well done to Mario Maker though, hopefully they continue bringing out new content for it. I have an obsession with collecting the costumes. If only I could make a good level.